The introduction of a euro-zone budget is a flagship measure in Emmanuel Macron's European project. Last December, despite the reservations and obstacles, France’s determination prevailed and the continent had its first budget: €20 billion over a seven year period. Emmanuel Macron’s speech in September 2017 at La Sorbonne, a few months after his election, was intended to lay down a marker. The president of the republic stated in particular that the European Union "needed convergence and stability through national reforms, but also by coordinating our economic policies and a common budget." Among the ambitious measures mentioned regarding the budget was the idea of appointing a euro-zone finance minister and setting up a budget capacity for countries that have adopted the common currency. The aim is to help the nineteen states using the euro to strengthen their union by engaging jointly in future investments. Another goal is to ensure strong solidarity in the event of any future financial or monetary crisis, above and beyond the European Stability Mechanism. The project has it all. A euro-zone budget would consolidate monetary and financial Europe and strengthen its role as an economic influencer - in a similar way to the United States’ federal budget. The creation of a dedicated euro-zone budget is a major step forward in the context of enhanced economic cooperation. And it is a major political challenge for the different heads of state. Initially reluctant because of her politically weak position, Angela Merkel has given Germany’s support to the proposal, subject to some adjustments. It must be said that the smallest item of expenditure decided by the German Government has to be validated by the Bundestag. In addition, the northern countries as well as the Netherlands made their reluctance known. To the point of speaking about a "Hanseatic League" prepared to nip the project in the bud. But through negotiation and compromise, agreement was reached on December 14th 2018. A striking victory for French diplomacy and determination in the face of early reluctance. Admittedly, the budget will be less ambitious than was initially hoped. But for the coming period (2021-2027) it will still amount to about 1% of member states’ GDPs or €20 to €30 billion euros over seven years. 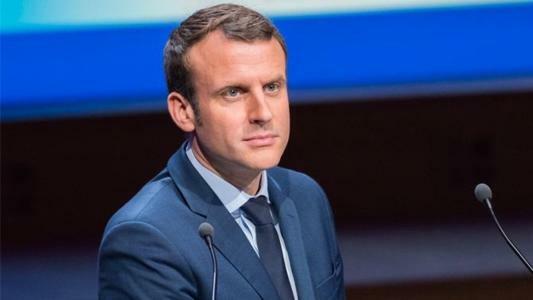 On the basis of this first step, Emmanuel Macron stated that the European Council "is one that produces results, it marks a milestone in view of what France proposed a little over a year ago." According to the June 19th 2018 Franco-German roadmap for the euro zone, the goal of the budget is to "promote competitiveness, convergence and stability in the euro zone. In this respect the proposal of the French president is pro-active, both in spirit and in the text. Although the chosen line differs from the initial project, the new budget will finance investments "in innovation and human capital." On this last point investments in training, for example, are being considered in order to help certain countries catch up, it is being stated in Paris. While the basic role of this budget should be that of a tool for economic stability in the event of a crisis, it would not be inconceivable to see it as a means of convergence and economic competitiveness. An observation shared by the President of the European Commission Jean-Claude Juncker who, in December 2018, was pleased with the result while also calling for more: "We are moving forward, but not fast enough. We have to wait until June 2019, the deadline set for the European Finance Ministers to determine the detailed content of this long-awaited budget. But Europe's budgetary recognition of the euro zone is a strong political beginning. It notes the existence of a monetary and budgetary zone, tighter and therefore easier to manage, and with even greater solidarity.